In film and TV, a complicated plot makes for a harder viewing experience, except for dedicated viewers. Meanwhile, in video games, a plot can get more complex with the more elements added to it. Whatever your reason for wanting to view something that’s complex, we hear you. We thought about what it means to be complex; be it complex due to the length, the twists, the characters, the setting or otherwise – here are our Top 10 Complicated Plots. 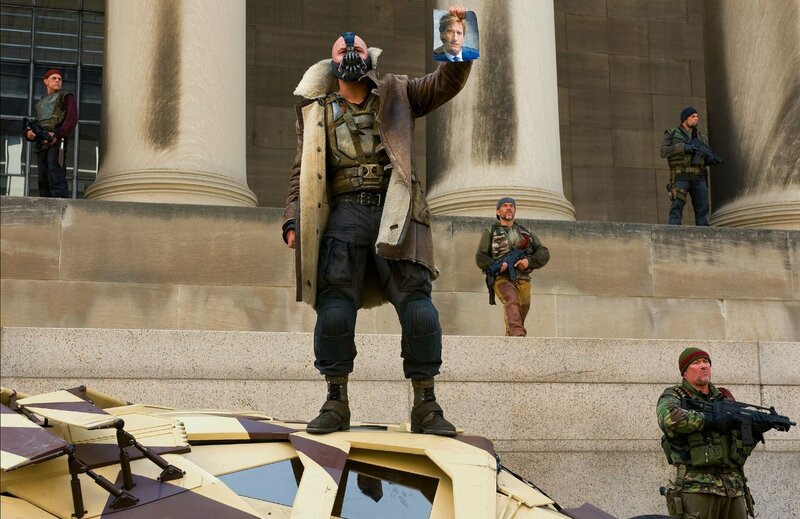 Endgame – Blow up Gotham and everyone in it. That’s the ultimate goal, we learn towards the end that no matter what happened, Gotham was going to be blown up, whether they were brought to order or not. So, what are the steps taken to achieve that end? Acts of terrorism, bring the economy to a halt, unleash an army of prisoners, imprison all legal forces, unseat the dark knight and protector without killing him, and hold the city to ransom with a massive bomb that you plan to detonate anyway. Which… I mean… some of those steps were fairly necessary, but… what point are you proving? And who are you leaving behind to learn the lesson? 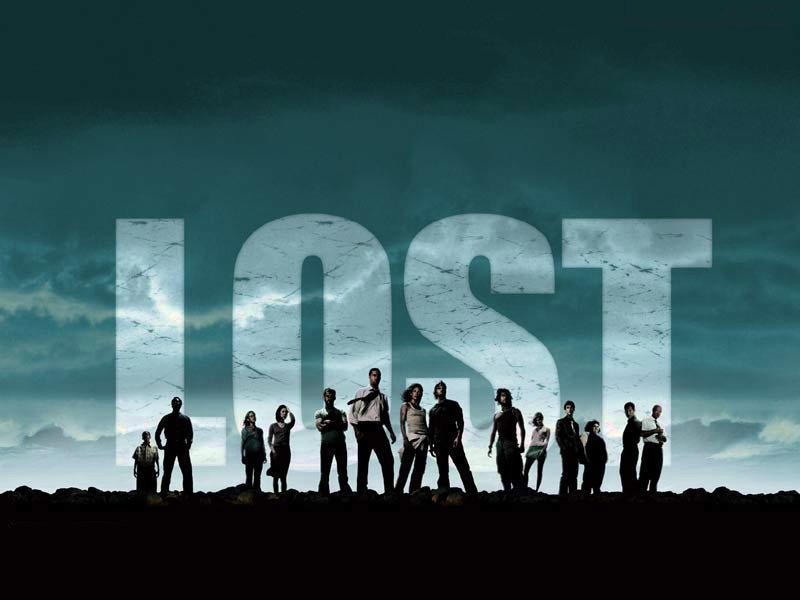 Lost is notorious for being one of the biggest shows for plot twists. The sheer number of turns in the story meant that you could be following a nice path one day, then quickly doing a 180 degree turn, followed by a hard right the next day. It goes off in tangents you don’t really see coming, or if you do, you kind of hope it won’t go that direction. Think of it as a dodgem – They’re called dodgems, but you know someone’s going to turn it to a bumper car special. Either way, Lost is one of those special cases where you just go along with the ride. But the moment your friend Billy comes over, you’ve got to explain what’s happened up until that point. Gosh darn it Billy, you really would do better watching the whole thing yourself. Maybe each event in isolation isn’t so bad, but the fact that it manages so many plot twists is the reason we’re calling this a complicated plot. 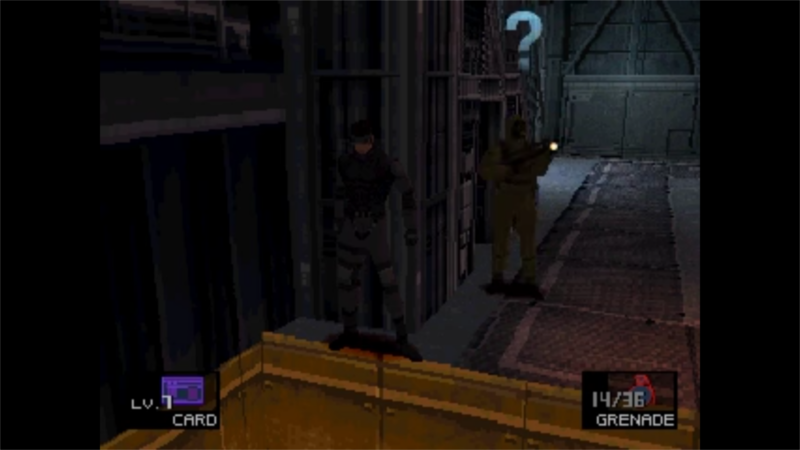 Everyone knows how tricky Metal Gears storied history can be, so we figured this makes for an excellent addition to our list. The individual games aren’t too bad, albeit filled with strange references, but when you take a look over the whole story of the franchise, it becomes a mental minefield. It’s genuinely a game where you have to go back and forth to understand why someone did something, or how they got involved with said thing. But the reason this got so low on this list is entirely down to the fact that the individual games aren’t all that bad. Indeed, game producer Kojima himself has stated he never intended it to be complicated. I’d also agree with his assessment that when you sit back and just play it, the games aren’t that tricky to understand… But when you look into the detail of the series, it certainly does become a bit trickier. Amusingly however, the linked article sort of explains why the franchises story is so tricky – It was never fully written from the offset. So his intent, whilst good, ended up making the story more complicated. Whoops! Ah yes, Chrono Cross, the oft-forgotten Chrono title. It’s a real shame too, as Chrono Cross does a lot that Chrono Trigger couldn’t do. 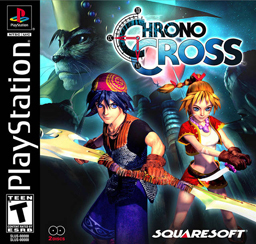 Chrono Cross is an RPG created back in the late 90’s and a little known fact – This is one of those games that often gets perfect 10’s from review aggregates. But that isn’t why this game is complicated – Instead the game features an insane number of characters. Okay, so imagine your typical RPG right? Think of your Final Fantasys, or your Dragon Ages or your Fables. Typically, the games are rich with characters, but they’re easy enough to digest due to the limited impact they have. In Chrono Cross, you have 45 playable characters – And they all had a form of backstory. No, you didn’t necessarily need to know them all, but they all added to this story-rich role playing experience. Time travel is always tricky, and when it comes with a series of large existential questions about determinism and the nature of life and free will, wound together with some early-2000s grade angst, your end result is a very clever film that can come across as far too aware of how clever it is. The ghoul-bunny spouting ambiguous rhetoric probably doesn’t help matters. The eponymous Donnie Darko (Jake Gyllenhaal) is an unnerving teen with apocalyptic foresight, a new imaginary friend, and a whole new lease on life, because he knows it’s suddenly a lot shorter. Not entirely sure how he tore the engine of a plane and rode it into the past, I’m also somewhat sure he’s still alive, but caught in a loop of arriving on the scene of his own death, riding a bike to the tune of “The Killing Moon”, never advancing through linear time. A story in reverse, and our second Christopher Nolan entry in the list. We follow a heavily annotated man with serious short term memory issues as he tries to work out who he is, what’s going on, and what he’s supposed to be doing. Can he trust anyone he talks to? The words on his arm say no, but did he write those? As the strange, chronologically inverted narrative and monochromatic flashbacks slowly begin to merge, the whole chaotic affair becomes clearer, but it still benefits a second watch just to see how all the subtle pieces come back together. 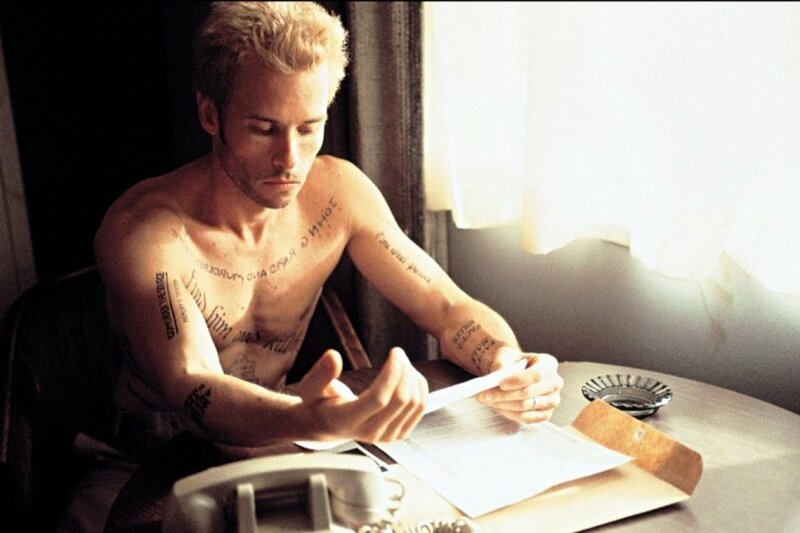 Guy Pearce superbly plays the perpetually confused Leonard, brought from the pages of the original novel by the other Nolan brother Jonathan. Maybe the book is easier to follow, but I doubt you can get away with reading that once either. Alright, forget the brilliant film – That was easy enough – But the book adds in a lot of complexities that the film doesn’t. Don’t get me wrong, a book can always go into greater detail than its films, due to the time constraints a film has. However, Stanley Kubrick did a great job encapsulating a lot of the complexities that the book itself discusses. Although technically the book did come after, the two were written at the same time. Nevertheless, the book features a lot of extra information that the film couldn’t. A lot of what the film leaves open, the book addresses – In fact, it answers almost every question you’d have. Why did HAL go on to be so brutal? What happened on the way to certain planets? All of these questions are answered, which makes for a much heavier read. The film is great, but the book encapsulates what the film cannot. Politics stretching back generations, a nation divided against itself and war in every corner, the loyalties of Houses and families roiling back and forth, and all of it a minor distraction from the rise of a revered tyrant in the east, and an awakening army of death descending far from the north to exterminate life. There’s an awful lot going on in that series, it’s nice to see it all coming slowly together, but we still have so many questions. 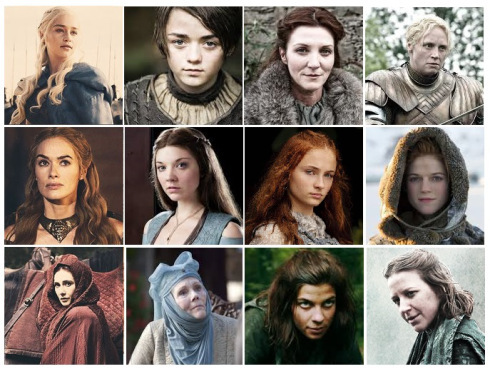 Game of Thrones/Ice And Fire has cropped up in our lists a lot because frankly there are a lot of things it does exceptionally well, and yes, it’s popular. There are so many things not included in the books that the TV show misses altogether, a whole bunch of Martells, about half of what Euron Greyjoy is up to in pursuit of dragons, Lady Stoneheart, another living Targaryen, and the horns Dragonbinder and Winter. But they’re huge books, and it’s been a big series, roll on 2019 for the grand finale. 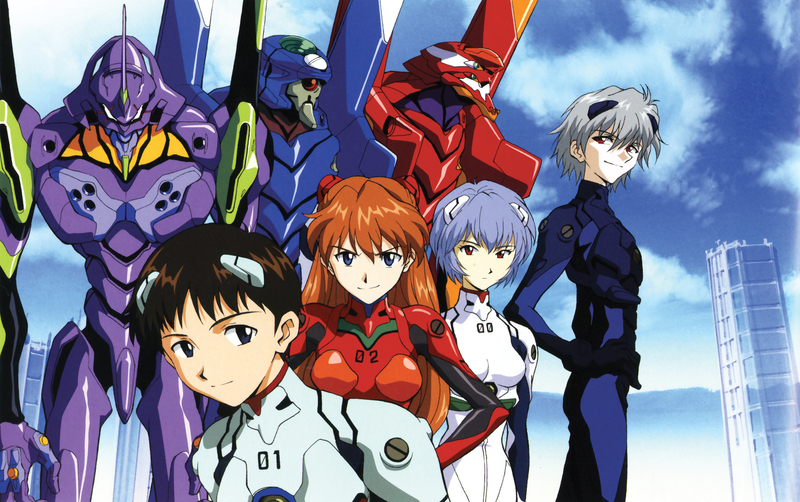 This one was a no-brainer; anyone who has watched anime for any amount of time will have heard of Neon Genesis Evangelion. It’s a series infamous for being a plot that’s quite complex. Any staunch anime fan will have an opinion of the series, so honestly, the sheer impact of the show alone was enough reason to put it in the list. However, the actual plot is indeed complex, with a lot of things at first seeming strange, but is all tied into symbolism throughout. So remember, if the world is in danger from intergalactic angels, send some angsty teenage kids into space in giant mechas. Meanwhile, the government sending said kids to space are fighting a shady battle with some shady organisations, which could also spell the end of the world, but we’re not going to dwell on that too much. We’re just going to keep calling the protagonist, Shinji Ikari, a wimp. … Okay, I take it back. He has a lot of stuff going on in his life. Six stories that span five hundred years, weaving together through their deeply woven themes and common cast of characters, a dearth of famous names in the roles of several people across time, reincarnated souls born into new bodies, all marked by the same birthmark. A study of how human nature changes without ever truly changing, a story of prejudice, exploitation, and conflict, and yet about the quiet and enduring force of unity, togetherness, and love. It’s a good film, an impressive attempt to draw genres together, united under the same umbrella, stitched together with music, and cast, and some rather impressive editing work. Perhaps Cloud Atlas demanded a bit much out of its audience, because it seemed to be less well received than it ought to have been. Reviews seemed to regard it as overly ambitious, or perhaps to disjointed, but to those willing to give it the chance, or perhaps a second watch, there’s a rather rewarding film there to be had. Now that we’ve finished racking our brains about what that was all about, it’s time for us to check out two more examples. We figured our honourables this month wouldn’t actually be complicated titles at all – But rather, they’d have some concept within it that gets you thinking to some capacity. Whilst the actual film itself is not that confusing, the subject matter kind of is. 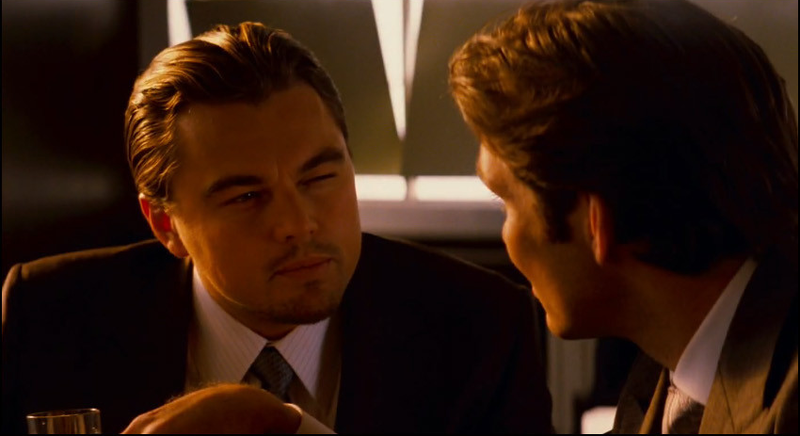 Inception is a film that people jokingly refer to as “a dream inside a dream inside a dream ad infinitum”. That description, whilst not necessarily the most helpful, is certainly one of the most accurate representations. It’s a great film, so don’t get me wrong here, but the plot itself isn’t that complex when you think about it. The human mind, guys. It’s mental. Literally! And then Caboose thought us all a lesson about friendship. And robots. Has your head stopped spinning? Good. We’re going to need you to focus up and concentrate. As ever, you’ve been called to this room to state before all of us what you want the next list to be. Don’t worry, we’ve made the process much easier than the last time, when we gave you scratchings on rocks, each corresponding to a pen, each of which contained a boar which may or may not have had the answer you voted for. Nah, now you just click a button below. Now that all of that complicated work is out of the way with, we wonder if you think we were misguided with some of our options. Do you feel there were any better titles, or do you think we got our picks quite right? Any in here that surprised you? Did the order make sense? As ever, let us know your thoughts and opinions below, or over on Facebook and Twitter – We love to hear your comments! This entry was posted on June 30, 2018 by GeekOut Team. It was filed under Entertainment, Film, Gaming posts, Literature, Television, Top 10, Traditional Gaming, Video Games and was tagged with 2001: A Space Odyssey, A Song of Ice and Fire, Batman, Christopher Nolan, Chrono Cross, Cloud Atlas, Complicated Plots, Dark Knight Rises, Donnie Darko, Game of Thrones, Inception, Lost, Memento, metal gear, neon genesis evangelion, Red Vs Blue, Rooster Teeth, Top 10. 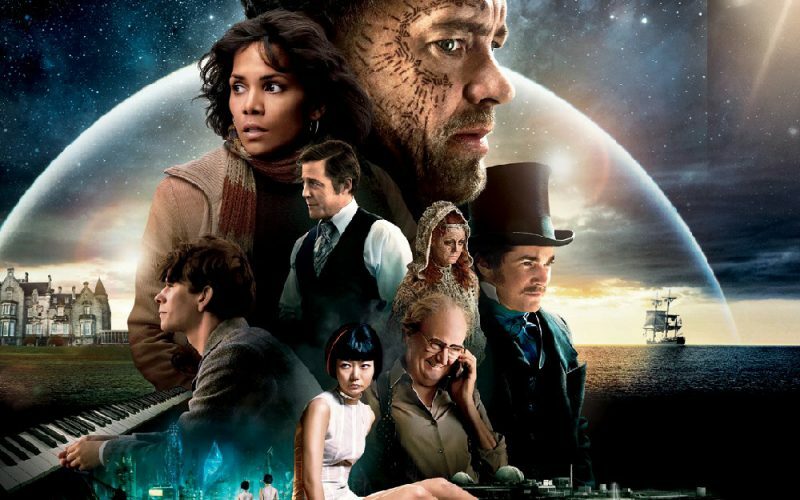 I found the Cloud Atlas movie quite strange and yet interesting. It was quite different from the novel in that the movie weaves all the stories in amongst each other whereas the book seems to give you the start of each story in order and then the conclusion and the link from each story in reverse order. Still, both the book and the movie have their own charm. Honestly, the most complicated part of it isn’t necessarily the content in each individual story. Rather, the way it’s constructed in both film and book format are just odd! It’s not “hard” to read or watch by any stretch of the imagination – But you’ve certainly got to get your head around it. It’s the links between each event that end up doing your head in because each character is reading another character’s story. It’s quite interesting how they all fold into each other after awhile. I thought the plot for Angel Beats was really quite complicated. It starts out, like, if you get too invested in school, you cross over. It’s never explained how they figure it out, but they all seem to believe it. It’s eventually revealed that you have to resolve a childhood trauma to cross over, but the idea of taking school seriously is never disproven, so there are two ways to go back? And then towards the end, the main character gives a speech, and at least fifty people in a crowded hallway cross over all at once. So, basically, all those other qualifications were bs, and people can just leave whenever they want. Not a bad pick at all! In all honesty, I’ve never watched Angel Beats, but I think I’ll have to properly check it out. If you could place it on this list, where would it be to you?